The Friends meet on the second Monday at 6:00 p.m. In good weather, meetings are held at the Ridgeway Depot. During the heating season, meetings are held at the Friends of Blue Mounds State Park Shelter. On occasion cookouts are held art the depot before the business meeting. On April 9, 2018 the meeting will be held at the Depot, weather permitting and those who can will come at 4:00 to do a spring cleaning. We will also enjoy a potluck meal after cleaning. Meetings are open to the public. If you have questions, call 437-7393 ext 2 and leave your number for a call back. ﻿Group guided nature walks on the trail near Riley can be scheduled with Meg Skinner, who is now a Certified Volunteer Naturalist. Meg has over 20 years of experience guiding large and small groups of children, youth, and adults. She helps participants appreciate the geologic, cultural, and natural history of the area where famed ecologist, Aldo Leopold, conducted pioneering game conservation research. Contact Meg at meggskinner@gmail.com if you would like to schedule a hike for your family, a group of friends, a Scout troop or a school class. The depot and caboose are open the first Sunday of the month from 12-3 pm from June through September . 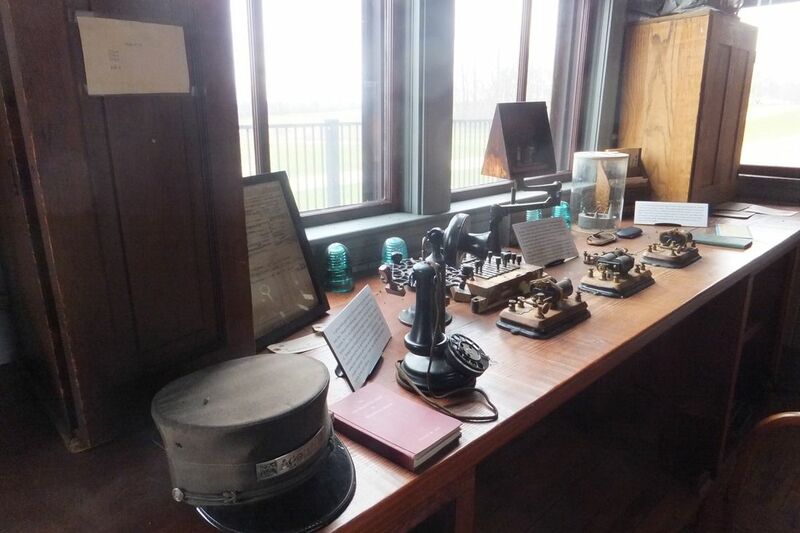 A museum with artifacts related to railroading and the history of the communities along the trail is of interest to all ages. The Annual Meeting is held within 30 days before or after February 1. Officers are elected at the Annual Meeting. Guests are welcome to attend. Treats may be served. There is often litter that needs to be picked up along the trail. All trail walkers are encouraged to take along a trash bag to remove litter. Occasionally there are activities that provide opportunity for volunteers to make physical improvements in the trail for all users. These activities are supervised and/or approved by DNR employees and include such things as clearing brush that is too close to the trail, control of invasive species and clearing growth to provide a vista opening for users of the trail. In the spring, clean-up of winter's litter on the trail is scheduled. Watch the calendar for details. On Saturday, March 24, 2018, nine Friends worked near Klevenville to clear vistas where marsh marigolds will be blooming later in the spring.